Rate this Article The appeal of virtual worlds can be seen in kids and adults alike, and there are very good reasons behind its rising popularity. Virtual worlds encourage self-expression, discovery and social interaction. If you haven’t played any virtual world games yet, you’ll be surprised to know that this genre has a huge community of fans and avid gamers. While all virtual games offer an alternate reality, they can vary greatly in theme, features and character customization, so there’s always a virtual world game for everyone. Here are a few aspects that I enjoy in virtual world games. Virtual world games start with creating an avatar or character. Some games let you create a character from scratch, while other games provide you with a default character that you can change later on. Games like Second Life have the most character customization features, and you’ll be able to change even the shape of your character’s body. Regardless of the way you started, characters can be changed almost any way you want during the game. While it may take some time (and some game currency), getting a virtual makeover is always fun. You can be as creative as you want with your clothes, hairstyle and add accessories to make you stand out. If you’re not good with socializing in real life, you can “practice” this in a virtual world game. Making friends and starting conversations can greatly improve your way of talking to people. Because the whole point of a virtual world is connecting with others, this game can push you to be social even when you don’t want to. When you warm up to other players in a virtual game, you might find people with the same interests as you. You can do things together within the game or even get to know each other outside the game. There’s a virtual world for animal lovers, fashion mavens, sports fans and so much more. Beyond giving you a place to hang out and meet friends, some games specialize on creating a world with a specific theme. You can take care of your own horse in games like Star Stable and Planet Horse. You can be a movie star, a fashion model or a rock star in games like Movie Star Planet. The possibilities are endless with the many virtual world games that allow you to indulge in something you’re fond of, which is probably the biggest reason why lots of gamers sign up for these games. Most virtual worlds will provide you a space within the game to build your home. Depending on the game, you can customize some or many aspects of your home. You can buy furniture and decorations to jazz it up and invite your friends to hang out. In Chit Chat City, you can create your own furniture with its Avatar Builder. You can even turn your home into a shop and sell your creations there, which is a great way to earn some game money. 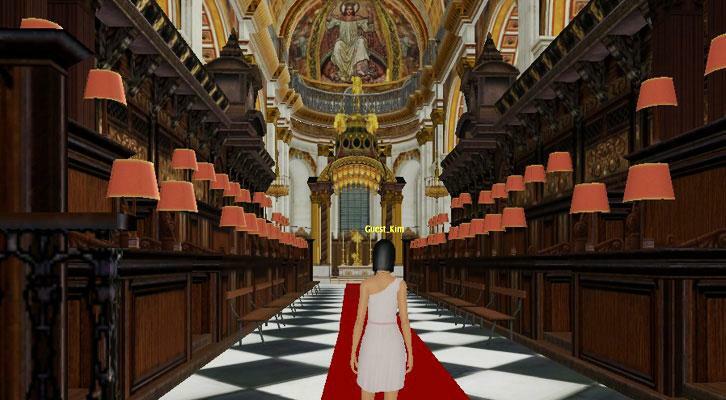 In more advanced virtual worlds like Second Life and Twinity, you can explore fictional and real-world locations rendered in full 3D. Visiting these locations, especially ones derived from real places, is a great experience. Explore the interior of a beautiful cathedral, stroll the beaches of Ibiza, Spain or lounge in a bar in downtown New York, all from the comfort of your home. If you want to know what real places would look like in a virtual world, then it’s surely worth checking out. For virtual worlds like Second Life, it’s possible to convert the game currency (Linden $) into real dollars. With a trading marketplace called the LindeX, players of Second Life can convert their L$ into real cash (US $). While earning in L$ is not exactly a walk in the park, gamers with skills in creating 3D art can design objects for the game and put them out for sale. Lots of expert 3D artists have made a fortune by designing clothes, furniture and even cars for Second Life. Some virtual worlds will have mini games and other activities that your character can do to earn money. You can go fishing, hunting, kill zombies and many fun adventures to keep you entertained inside the virtual world. Mini games are also made to showcase rankings and leaderboards for the best players, so you’ll have something to aim for beyond just getting the money. If you have kids, there are lots of kid-friendly virtual worlds that are both fun and educational. 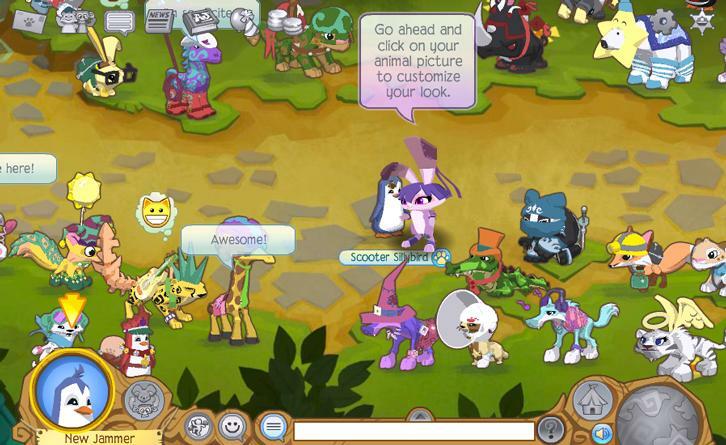 Games like Animal Jam by National Geographic Kids helps children learn about different animal, their habitats and how to care for them. Other games like Secret Bear World lets children become a bear and draw their own home and other objects. There’s lots more virtual worlds added every day that are designed especially for kids where they can chat with other kids in a safe environment. Having a virtual world is a great way to have something to look forward to after a long day at work. You can relax and chat with your friends, check what new things happened while you were away, and try new things within the game. You can add new items for your home, visit a new place, do a full character makeover, and so on. There’s always something different to do every day. Unlike other games where your progress is measured by levels completed or rankings held, a virtual world has no specific objectives and you’re free to do whatever you want. This sort of freedom is not usually seen in other game genres, so it’s very refreshing to be part of a world where you can be anyone or anywhere you want. As you can see, there are many reasons why virtual world games are worth playing. These are just some of them, and there might even be more for some players. In whatever case, playing in a virtual world is a fascinating and unique gaming experience that you won’t find anywhere else.